We supply rotor locks for wind turbine applications. We supply various rotor locks for the use in wind turbines. Those are needed in order to stop the wind turbine for maintenance. Our rotor locks have an electric indicator that gives a signal when the rotor lock is inactive meaning that the wind turbine is in operation. When maintenance is needed, the rotor brakes will stop the wind turbine from operating so that the rotor lock can be activated. 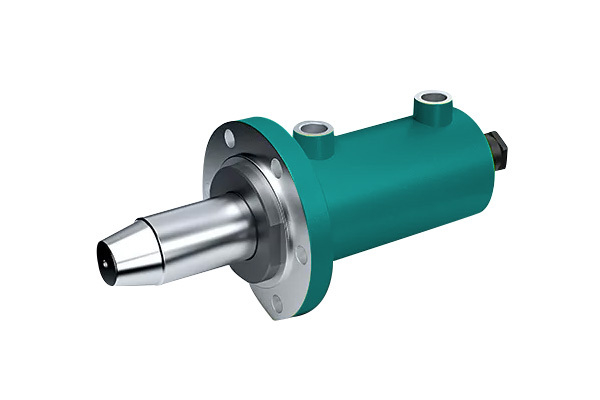 The rotor lock is operated automatically or manually by using a hydraulic hand pump which we also supply. The rotor lock is manufactured to specifically withstand the requirements of operating within harsh working conditions. The materials that are used are of high quality and the locking pin is hardened to withstand high radial forces. Hunan Trebu Hydraulic Technology Co. Ltd.